I know, those of you who are affected by this Kapha season are just saying PALEASE HELP! It is not so much what you eat that causes problems. but what you can digest. Healthy food is no good to you if you cannot assimilate it properly. So this spring is a season of oily, cold, heavy, stable, viscous like slow moving oil, dense and smooth. So foods that have any of those qualities are to be generally avoided. Instead you eat foods that are opposite to the season… In this case heating, light and dry. salty (also heavy and unctious). Pungent (spicy) – heating foods are light and dry and flush secretions from the body. Not so great if you have pita in your dosha so use with caution. Bitter – foods are light and dry. They purify and dry, tone the organs. Not so great if you have a lot of Vata in your dosha so use with caution. astringent – is also light and dry – pruifies and constricts, helps the skin. Not so great if you have a lot of Vata in your dosha so use with caution. Meaning if you have Pitta in your dosha a day of spicy eating with raw garlic and onions might push inflammation, headaches etc. If you have Vata in your dosha a bunch of popcorn, chips and crackers is going to make you dry up and possibly bring on the flaky/spacy. And remember that if you have a lot of Kapha in your dosha sweet is going to SLOW you down with a bigger crash. 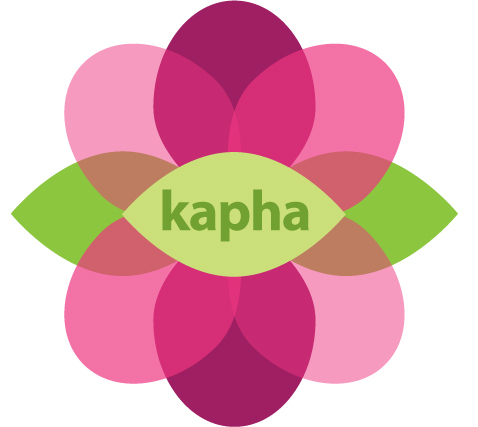 Kapha foods (if they are good for your constitution): Arugula, asparagus, broccoli, cabbage, cauliflower, kale, sprouts, spinach, apples and berries, dried fruits, barley, corn and buckwheat, red lentils, chickpeas, light oils sparingly (canola, safflower, sunflower) ghee, sweeten this season with honey. all the wamings spices, onion, garlic, cardamom, cayenne, anise, ginger, tarragon.